Decatur, Ala. – For the past 50 years, the Spirit of America Festival has attracted thousands of families to Point Mallard Park in Decatur for one of North Alabama’s largest free fireworks show in honor of Independence Day. 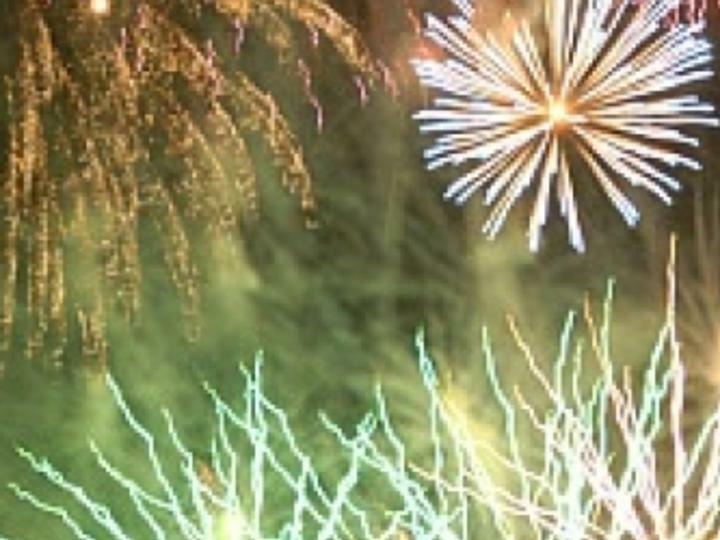 This year, the spectacular fireworks show will launch at 9 p.m. and families can arrive earlier and make a splash at the Point Mallard water park. Decatur’s free Independence Day celebration kicks off on July 4th with the Children’s Bike Parade where patriotic decorated bikes, tricycles, wagons and strollers make their way from the TC Almon Center to the Expo Pavilion. There is no fee to participate in the bike parade; however, registration is required beginning at 9 a.m. at TC Almon. First, second, and third place prizes for best decorated will be presented during an awards ceremony at the Expo. After the parade, children and their families are invited to enjoy games and play on inflatables from 10 a.m. to 12 p.m. The Children’s Bike Parade is sponsored by Chick-fil-A of Decatur. Families are also invited to cool off and enjoy a day at the Point Mallard water park. Open from 10 a.m. to 8 p.m. on July 4th, the J. Gilmer Blackburn Aquatic Center offers a kiddy pool area, pro bowl slide, sky pond, lazy river, flume slides, and speed slides. Admission is $20 for adults (12-61), $15 for children (ages 5-11), military (with ID) and seniors (62+), and free for children 4 years old and younger. Following a fun-filled day in the water park, guests can walk over to the Spirit of America field to enjoy the fireworks. The Spirit of America Field (SOA) will open to guests at 6 p.m. so that families can pick out a prime viewing location to enjoy the fireworks show. Local food vendors will offer a variety of food and drinks to indulge on, including lemonade, shaved ice, funnel cakes, pizza, hamburgers and hotdogs. Guests are reminded to please leave pets at home and tents and golf carts are not allowed on the SOA field. Handicapped and VIP Event Sponsor parking are available at the Ice Rink. The night sky will be illuminated with North Alabama’s largest fireworks display beginning at 9 p.m. and will be simulcast on WDRM 102.1 FM. The 2017 fireworks show is made possible through the support of presenting sponsors Hexcel, Pepsi, the Morgan County Commission and Decatur Morgan County Convention and Visitors Bureau. From 6 to 11 p.m., NARCOG Transit will provide shuttle service for the fireworks show. The shuttle will run from the GE plant (2328 Point Mallard Dr. SE) and from the Princess Theatre (112 Second Ave. NE) in downtown Decatur. Shuttle wristbands are $2 and allow each person that makes a purchase, unlimited rides to and from the event site. Correct change must be used. Point Mallard Park is located at 2901 Point Mallard Drive in Decatur, Ala. along the scenic banks of the Tennessee River. Admission to the festival is free. For more information please call 256-341-4902 or visit www.spiritofamericafestival.com or visit its Facebook page.